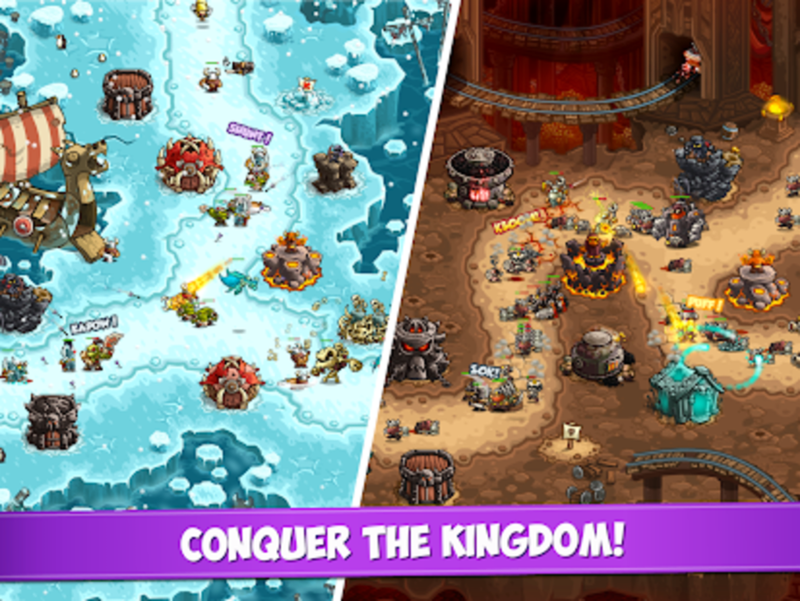 While most strategy games will challenge you to defend your lands against evil, in Kingdom Rush Vengeance, the roles are reversed. In here, under the leadership of an evil wizard, you will be planning tactics on how to recover the dark lands from the ordinary folk. 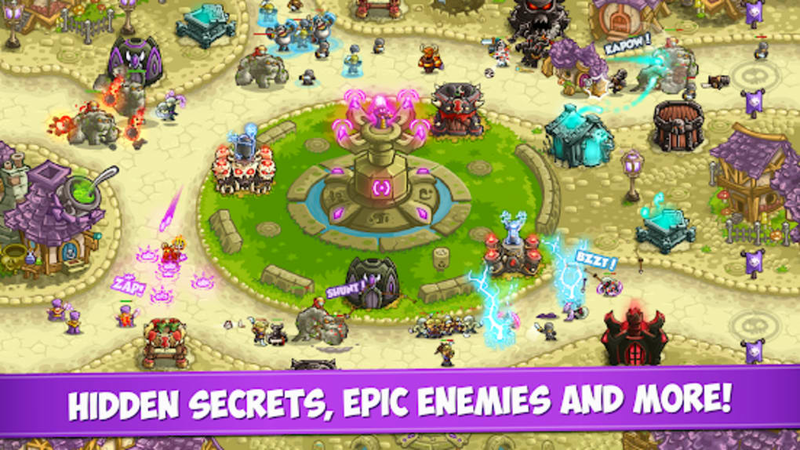 This is about regaining and fortifying the kingdom of the evil wizard with the help of other dark elements. 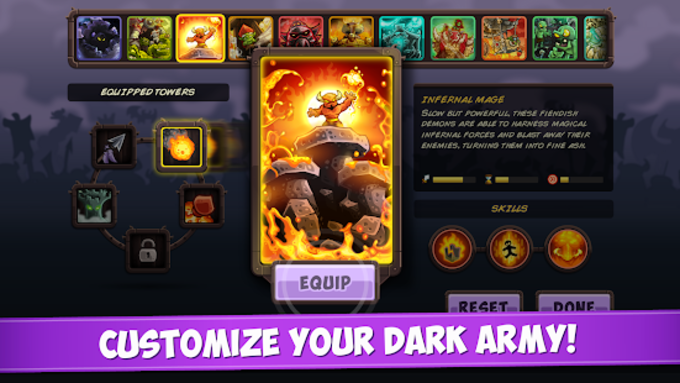 At the start of Kingdom Rush Vengeance, it will probably be a pleasant welcome for players to learn that they already have uniquely evil accessories available in their home base. Two different artillery towers are immediately at your disposal at the beginning. The first tower will be spitting out snarky little goblins while the other one is called the boiling tower. Of course, as you advance levels, you will be provided with more artillery towers that come with their own specialization. 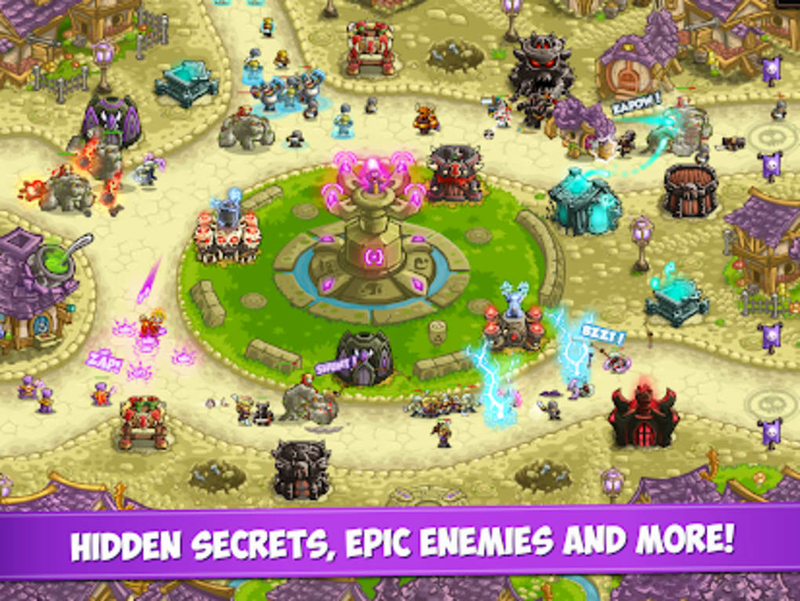 Enemies come in waves and at the start, you should expect to defend your kingdom for 5-10 waves. The number of waves or rounds will increase as you level up so be sure to carefully think and strategize the positions of your towers and your attacks. While the game’s mechanics are easy to learn, making up plans will fall entirely on the players’ hands. 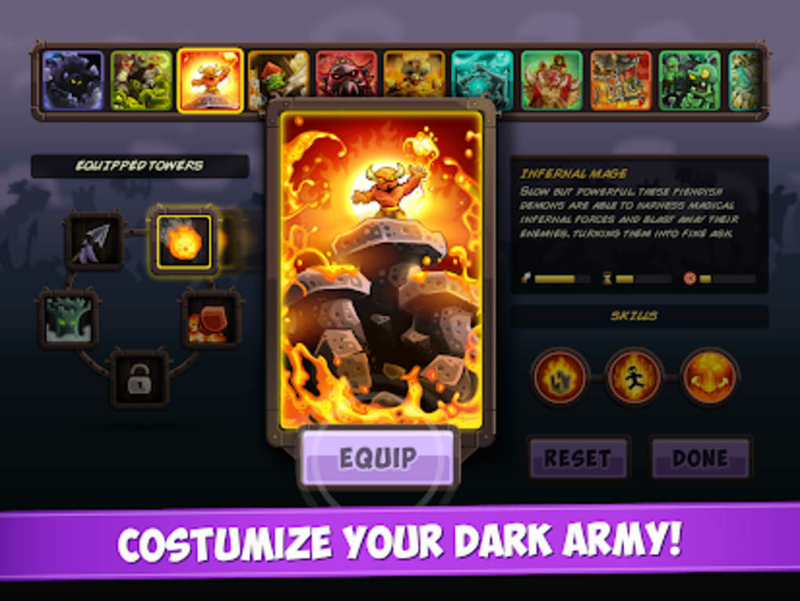 Tutorials do not include strategizing and therefore, players have to analyze the battlefield, their enemies, and the advantaged and disadvantages of each recruited soldier in the dark forces. The key to winning back the dark wizard’s lands is the smart placement and grouping of your artillery towers that will help compensate for each others’ weaknesses. 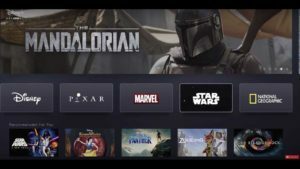 Do not forget that you are playing on the dark side now so expect to team up with evil and monstrous creatures like orcs, goblins, and assassins. 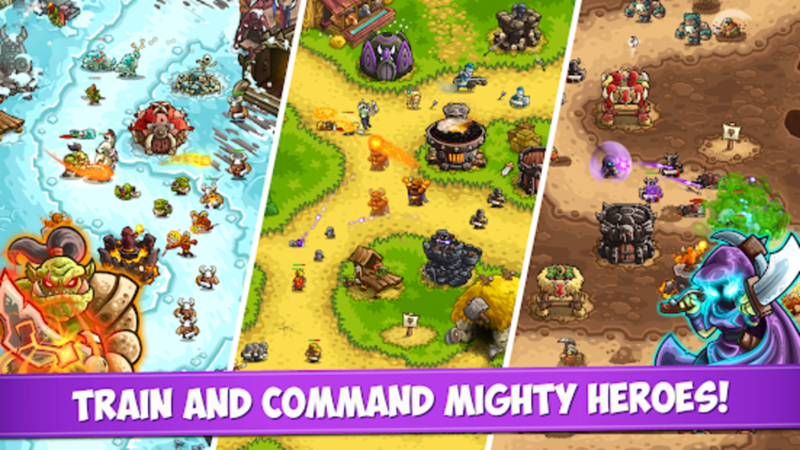 To aid you in your fight against dwarves and humans, you can also ask the help of very strong creatures called Heroes, which will help eliminate huge waves of enemies in one swoop! 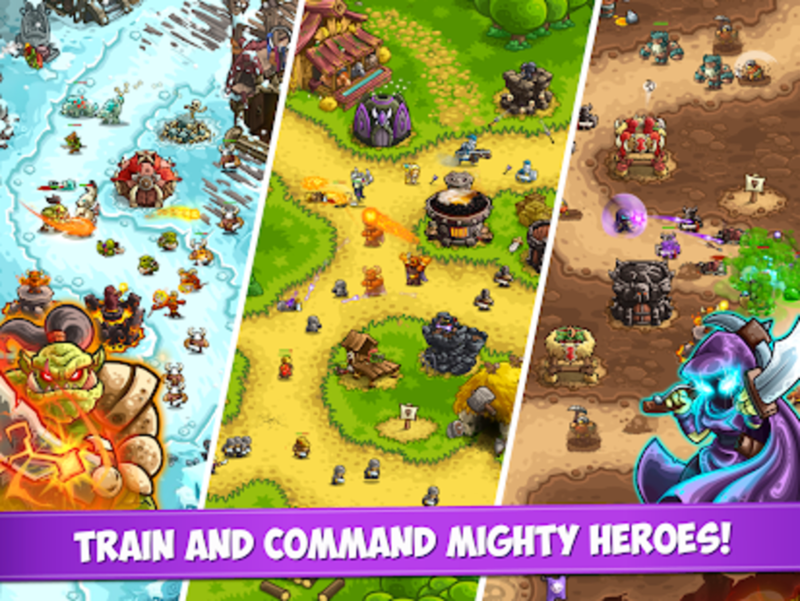 Some of the heroes you can summon are dragons and elemental monsters. Just put them strategically on the area with the most number of enemies and they will gladly wipe them off the map. 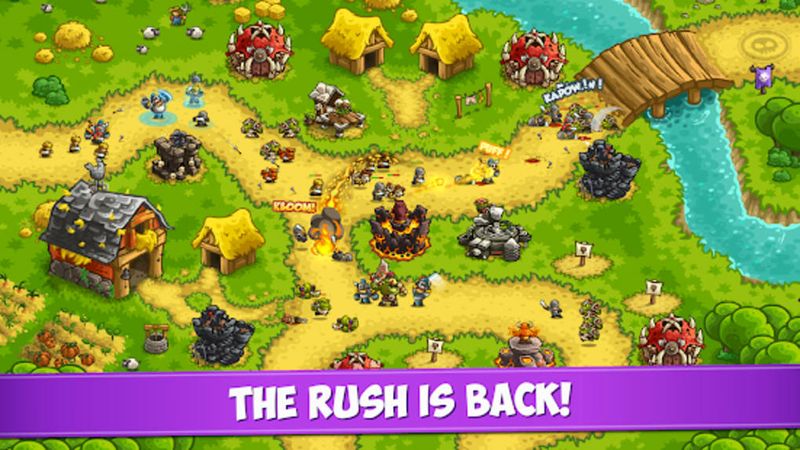 The game is pretty similar with Clash of Clans when it comes category, mechanics, and a cartoonish art style. 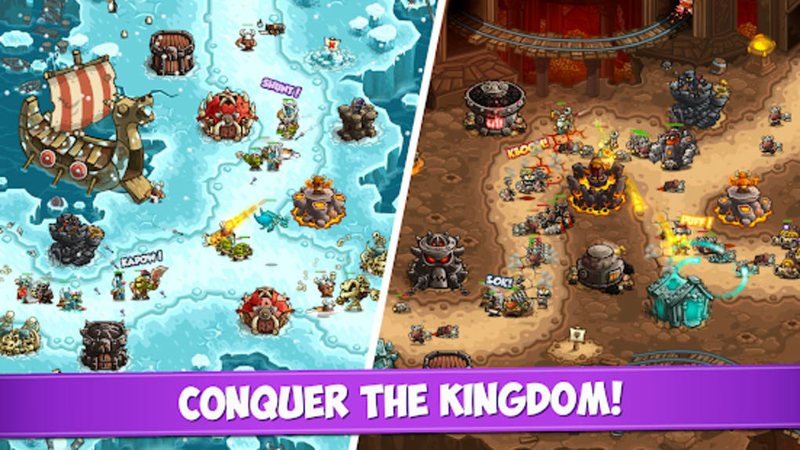 Nevertheless, Kingdom Rush Vengeance has its own quirky concept. 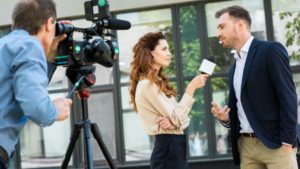 With each successfully conquered level, you will move on to other areas that possess their own themes and seasons. There will be places covered in cool blue with snow covering the ground, while there are others that are surrounded by forests and green grasslands. The change in sceneries helps maintain the player’s interest in the game. 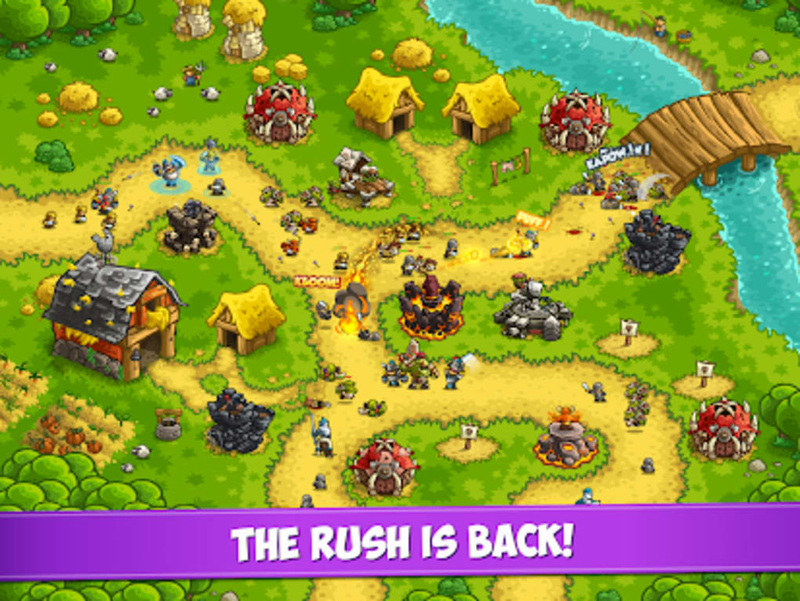 Kingdom Rush Vengeance is a really good strategy game that will have you occupied for hours. Playing this is one of the best ways to pass the time for when you are bored, waiting for someone, or would simply like to do something fun. 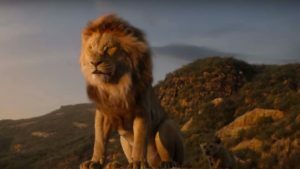 It is interesting and can spike competitiveness in players especially when things get tough and defending your kingdom proves to be really challenging.